The Gunfish is the latest of an extensive series of next generation topwater baits. 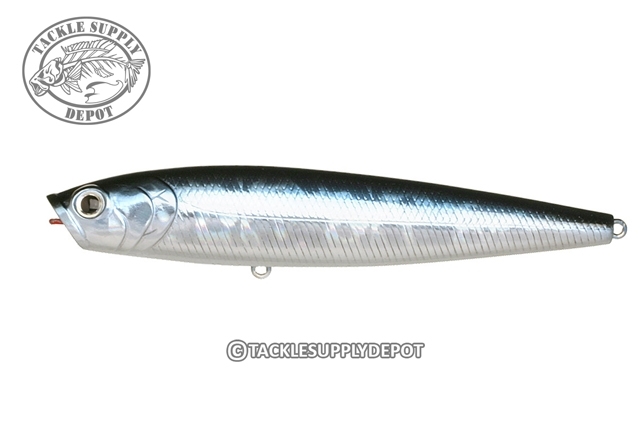 It features a slim tapered body design and uniquely shaped-cupped mouth which makes the bait splash and pop like no other. The Gunfish glides across the surface with a tight "walk the dog" action similar to the Sammy series however the distinct difference with the Gunfish is the incredible fluid motion of the bait on retrieve. The resin/tungsten composite weighting system of the Gunfish will allow you to cast it a mile, and approach high pressured fish from vantage points inaccessible with conventional topwaters. This will effectively catch those finicky bass without alerting them to your location. Excellent Service and super fast shipping.